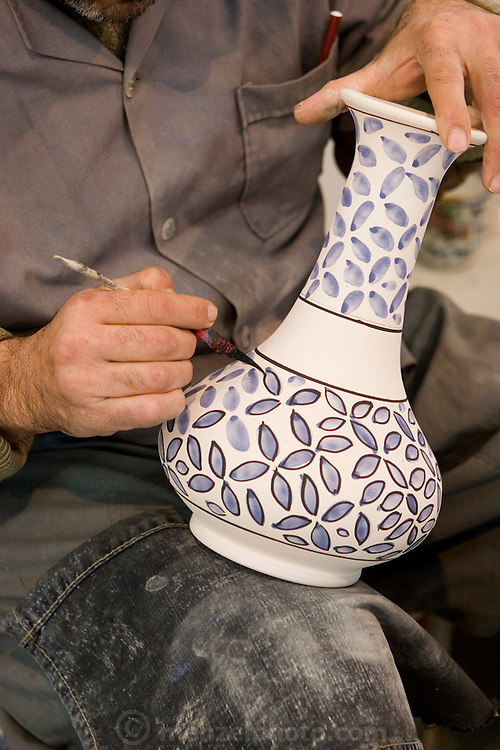 Closeup of a traditional blue flower design being applied to a bisqueware vase at Morvarid (Pearl) Pottery Factory, Meybod, Iran. (Also spelled "Maybod"). Painters there each has his own design assignment, often working with others applying their own elements on a single piece.